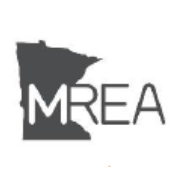 Our UAS department will be presenting at the 2019 Minnesota Rural Electric Association (MREA) Lineworker Conference in Alexandria, MN from Jan 23rd , 2019 through the 25th . Electric Utility Cooperatives throughout Minnesota will be in attendance. Edge personnel will present on the use of UAS “Drones” for Electric Utility Work and discuss integrating UAS “Drones” into utility line workflows. We will also have a booth set up in the vendor area to show examples of typical projects and display some of the aircraft, equipment, and software we use. We look forward to seeing you there!